4WDs and SUVs have been the largest growing sector in new vehicle sales. Although Australian’s love the upgrade, ex-sedan owners can be shocked by the cost of replacing their bigger tyres. Kuhmo’s new HT51 tyres are very durable, making them a great investment. The HT51 has been designed to handle the rigours of urban life. As an all weather tyre, Kumho’s R&D team have ensured that the HT51 can perform in both wet and dry weather, and is also suitable for both standard and workload applications. Stiff centre block design gives the HT51 reinforced stability, traction and handling, which vastly improves straight-line driving over long distances, while a symmetrical four-channel layout makes for an extended tread life. These two features make the HT51 ideal for highway driving. Kumho’s 3D sipe applications improve grip and braking performance, and a zigzag style groove design facilitates greater drainage. Driving in wet, or even snowy conditions is much safer and less stressful thanks to these key design components. Kumho’s HT51 is a tyre for all seasons. 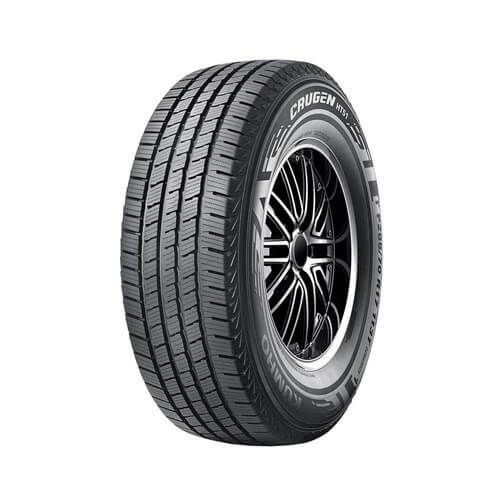 This high mileage tyre is built to last, backed by an 80,000km warranty. A ‘720 high treadwear rating of its class means that rain, hail or shine the HT51 will get you from A to B, again and again.